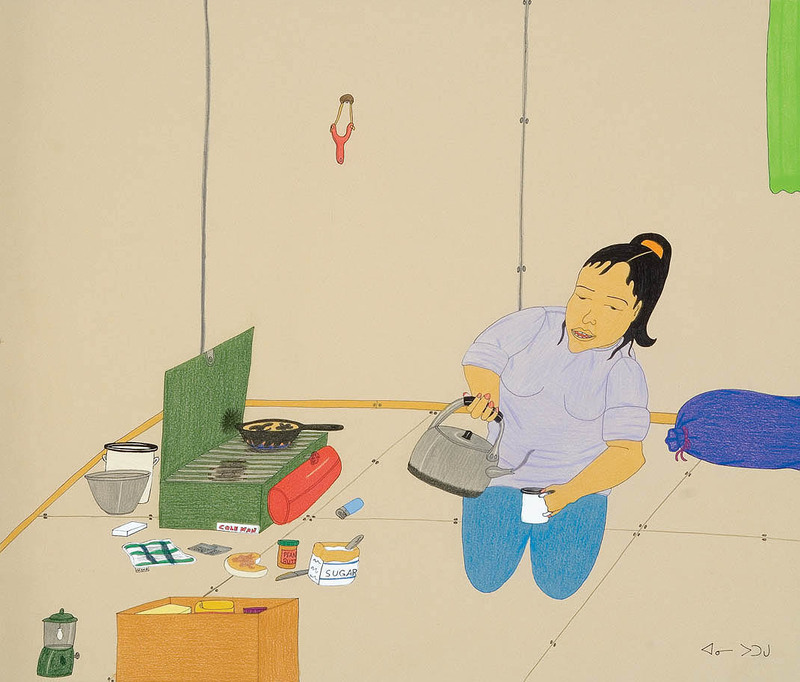 Annie Pootoogook, born in 1969 in Cape Dorset, North West Territories – now Kinngait, Nunavut – began drawing at the age of 28, through the encouragement of the West Baffin Eskimo Cooperative. 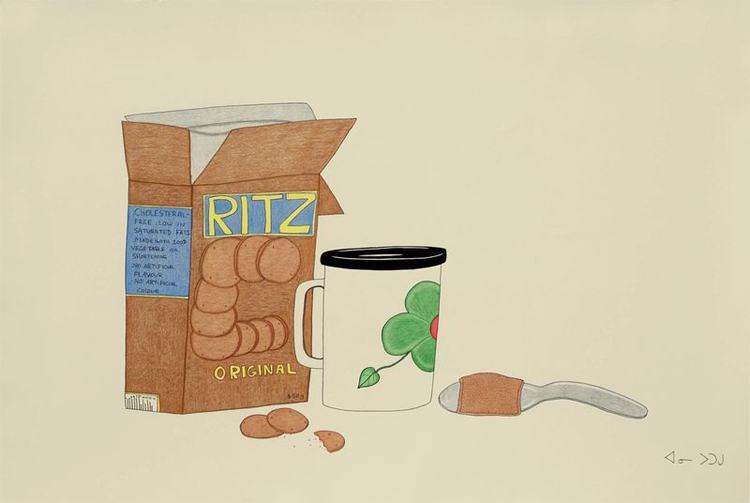 In 2006, she won Canada’s $50,000 Sobey Art Award, presented to artists age 39 or younger who have exhibited in Canada during the previous 18 months. 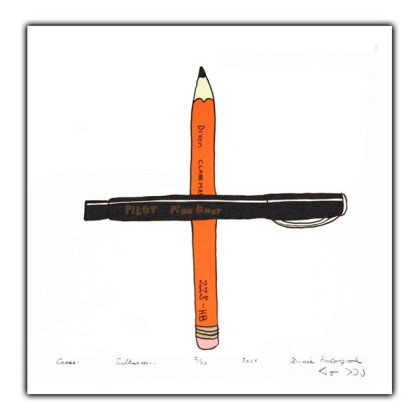 In 2007 Pootoogook had drawings and lithographs at the 2007 Biennale de Montréal and also at the Basel Art Fair and Documenta 12 in Kassel, Germany. 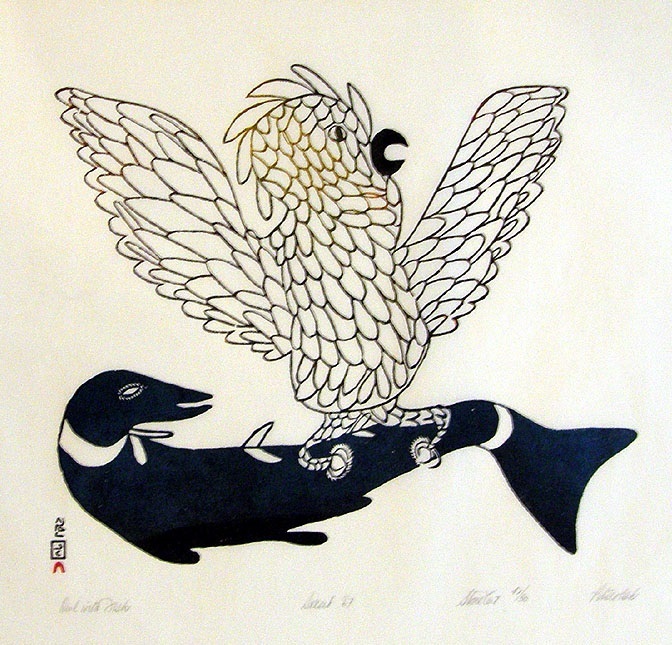 Pootoogook’s drawings are often in a style / with subject matter outside of traditional Inuit visual artistic style / subject matter. We are very far from The Enchanted Owl when we look at a Pootoogook drawing. “Modern” technology – video games, TV – are frankly present, even while boredom may also be evident in her human figures. 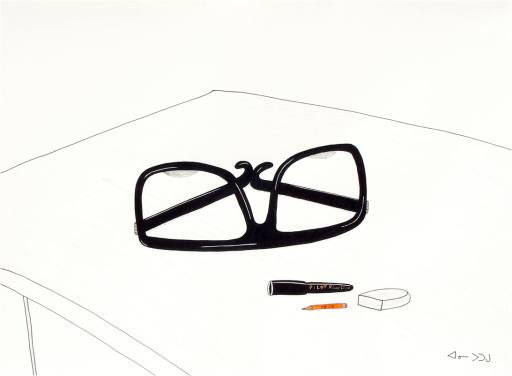 The artist’s drawing technique of carefully outlining shapes in black then filling them in with solid colour is perhaps even more “traditional”, more “handmade” than most Inuit prints of the last two generations; and her subject matter is the opposite: no fantastic birds but her bra, her eyeglasses; no nostalgic Creation myth depicting Sedna, the goddess of the sea, rather a memory of Pootoogook herself smashing bottles against a wall. An Artist may show many aspects of Life – both the real and the unreal, the ideal and the unvarnished truth. And anyway, such words refer to an interconnected reality that makes Existence “full up” with Being. 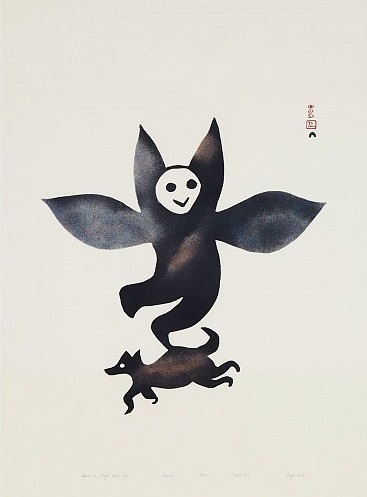 That’s why Pootoogook’s drawings have validity – without belittling what had become a narrow genre in Inuit art i.e.the depiction of remembered “traditional ways” of daily life plus endless charming and fanciful Arctic animals. 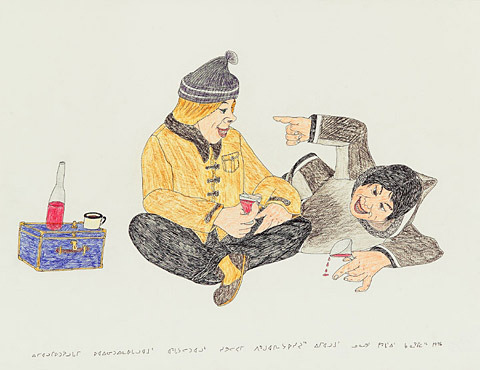 By the time Annie Pootoogook was born (1969) most Inuit in the Canadian Arctic had been forceably re-settled into permanent communities through a methodical programme of the federal government with the RCMP; they were living in pre-fabricated houses, and their former nomadic way of life – following the caribou herds and living in summer encampments then igloos – was gone in a mere two generations. While hunger ceased the Inuit were no longer self-sufficient yet neither were they integrated; the “violence” of such cultural upheaval is still being felt in 2014. 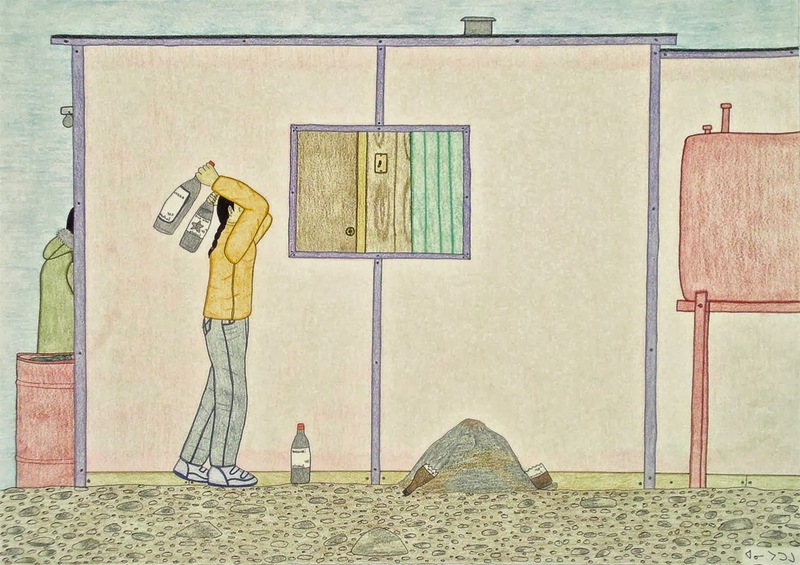 Pootoogook’s drawings of domestic abuse and “boozing” tell this unpretty truth – and yet there is gentleness and humour in her work too, plus a straightforward and unsensational point of view about sometimes depressing circumstances. 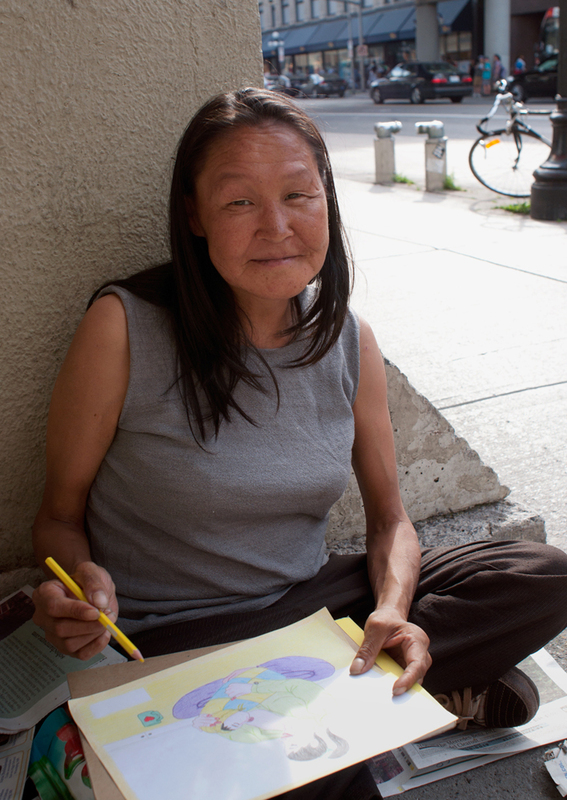 After winning the Sobey prize Pootoogook moved from Baffin Island down to Ottawa. She went “outside” – as some Northerners say. 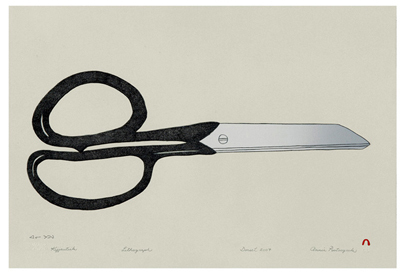 By all accounts her life in The South has been up and down – yet she has not given up drawing. 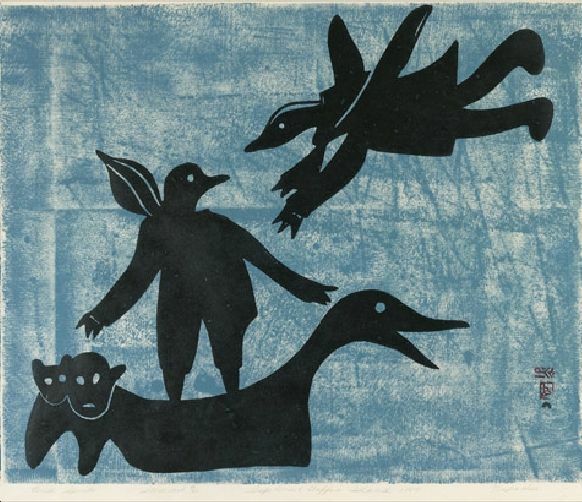 Annie Pootoogook is the daughter of artists – mother Napachie and father Eegyvudluk Pootoogook – and the granddaughter of Pitseolak Ashoona (1904-1983), one of the original generation of Inuit women illustrators/printmakers. 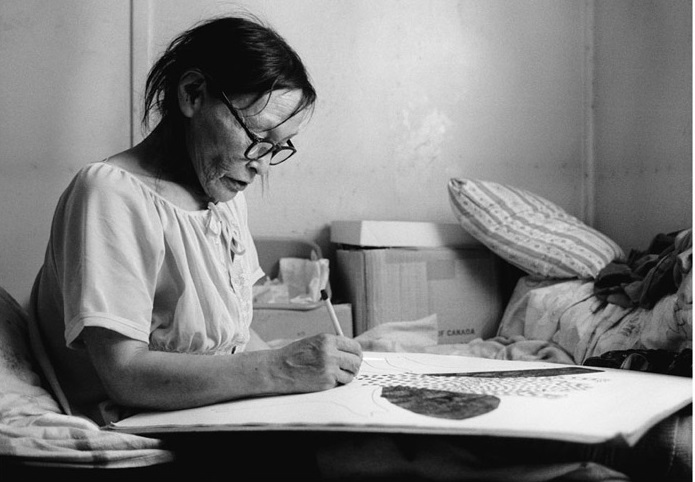 Her uncle, Kananginak Pootoogook (1935-2010), was a sculptor and printmaker, and was instrumental in the creation of the West Baffin Eskimo Cooperative in the 1950s. 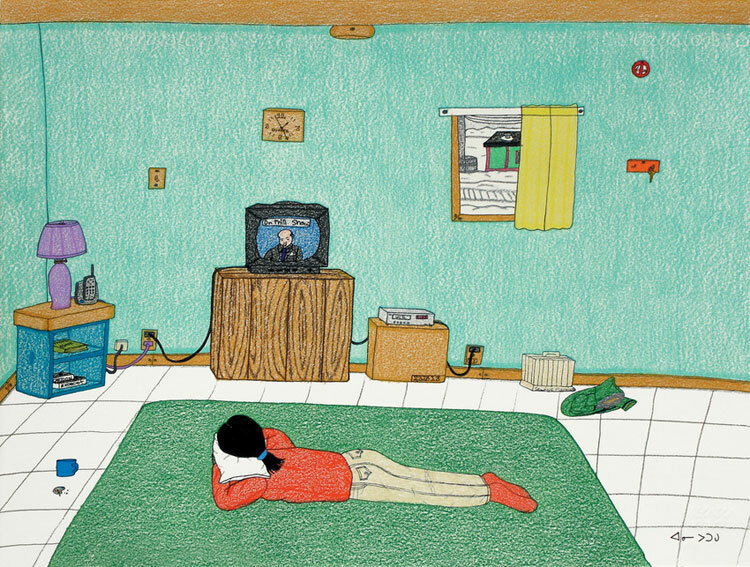 So: Creativity is in Annie Pootoogook’s blood; we will be hearing from her again.